As I mentioned in a previous post, I’ve been on a quest for awesome mascara since the beginning of the year! I’ve found that most of the higher end ones don’t live up to the hype, so I’m now exploring drugstore brands. A friend mentioned eyelash primer, which I never tried before, so I figured I’d give it a shot. On second thought, I have tried something similar to primer, baby powder, it’s messy, but it does work to build volume if you add some to your lashes before mascara. Because I wasn’t sure if it would work, I tried a drugstore brand first. I got the NYX brand from Ulta for about $7. So far, I like it, but don’t expect a dramatic difference. I’ve tried using two coats, but still not seeing a dramatic difference. But the slight difference I do see is worth it to me because every little bit helps! I’m determined to get va va voom lashes some way, some how!!!! Here’s the product, and let me know if you have any lash secrets to share! Thank you for posting this! 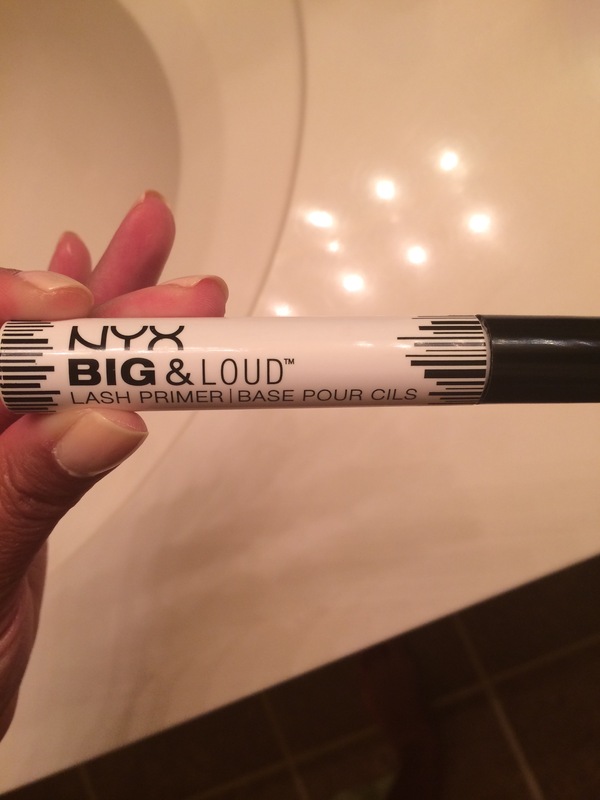 I have never tried this product from NYX, but now I need to! Check out my blog if you would like! http://everythingandnothin.com/! Have a BEAUTIFUL day! Thanks for reading and yes you must check out the product! Especially for the price, you can’t beat it! I’ll definitely check out your blog! It awesome when inexpensive products work so good!! !